Last night The Hub and I spent the evening drinking a fantastic red, listening to some Martin Denny, and cooking a delicious meal for Valentine's Day. Well, more like he cooked and I was his sous chef. You see, my husband is a fantastic cook. In fact, I think he's way better than me. But don't tell anyone. 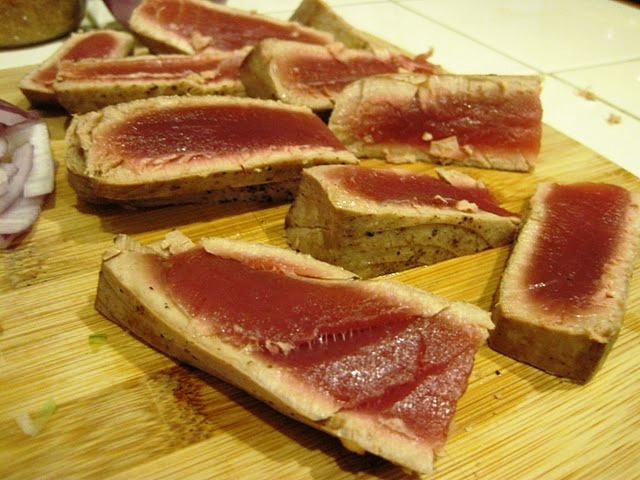 One of my favorite meals that The Hub makes is his Seared Ahi Tuna Delight. 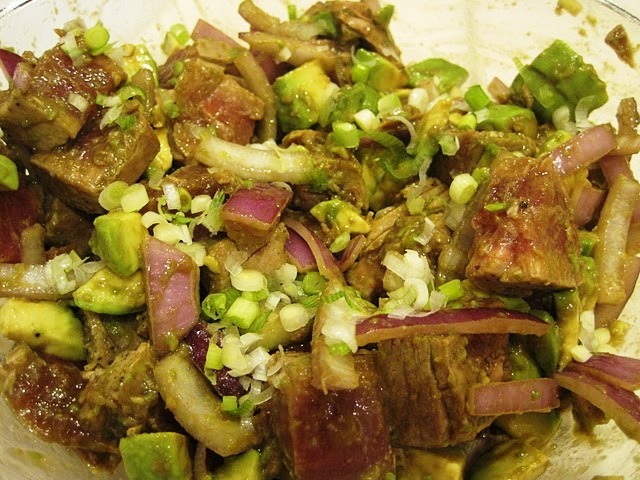 It's seared, sushi grade tuna mixed with avocado, red onions and a delicious marinade/dressing. 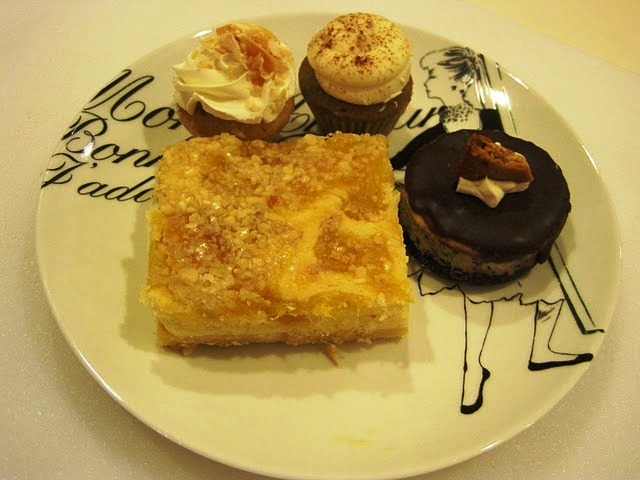 We decided to pair it with crispy Spring Rolls (which I'll be telling you how to make on Thursday) and bought a myriad of sweet treats for dessert. What a perfect Valentine's Day Dinner! Directions: Heat 2 tbsp of sesame oil in a skillet, or enough to coat the bottom of the pan, over medium high heat. While oil is heating, season both sides of the fish generously with salt and pepper. 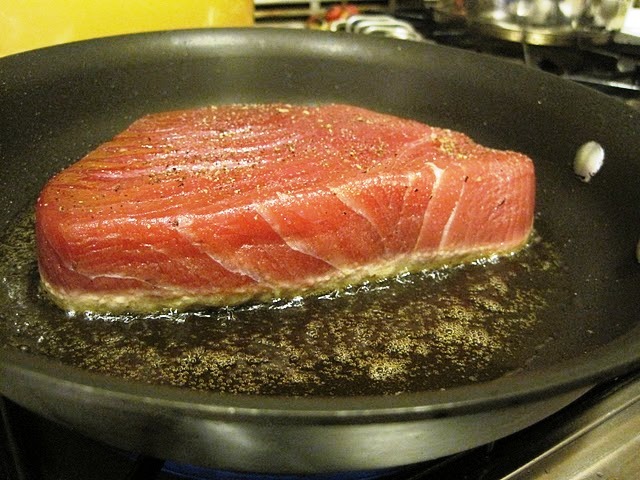 When oil is hot, sear each side of the fish for about 1-2 minutes or until desired amount of thickness has been heated. You should hear a sizzle when the fish hits the pan. 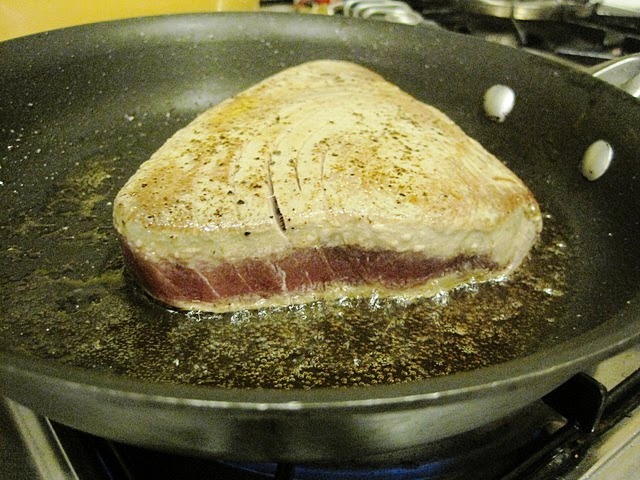 Remove fish from pan and slice it into thick strips or chunks. Place it in a bowl with thinly sliced red onion, diced avocado. Add lime juice, sesame oil and soy sauce to taste - about 1-2 tbsp. each of oil and soy sauce, and the juice of 1 lime. 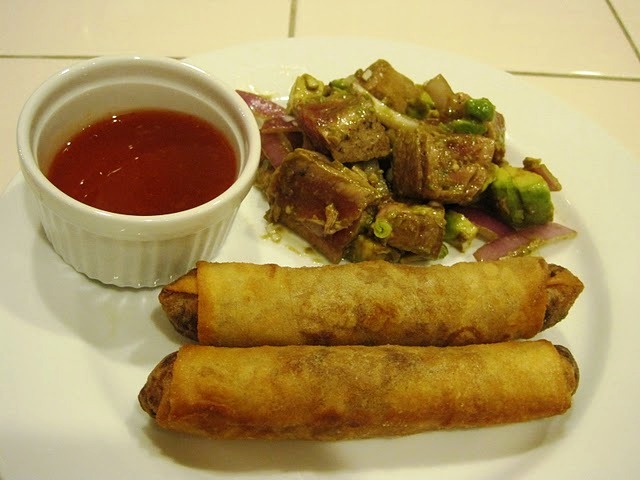 Top with green onions and serve immediately. Yum! 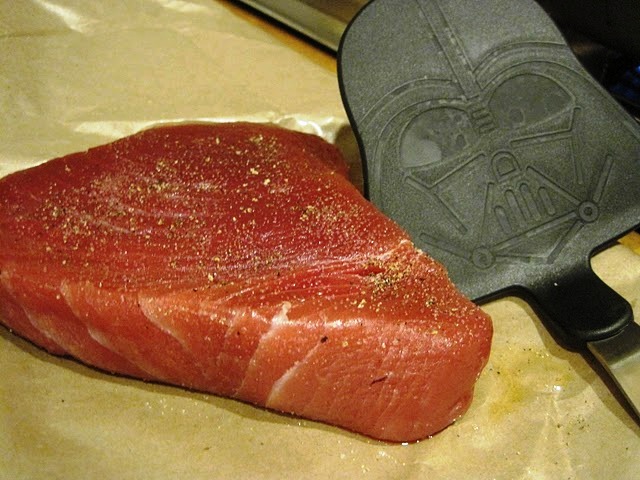 Seared Ahi Tuna Delight looks amazing! Lucky Lady! I am totally going to make this. Yummmmmmmmmm.